« I’m a dog! Hey! 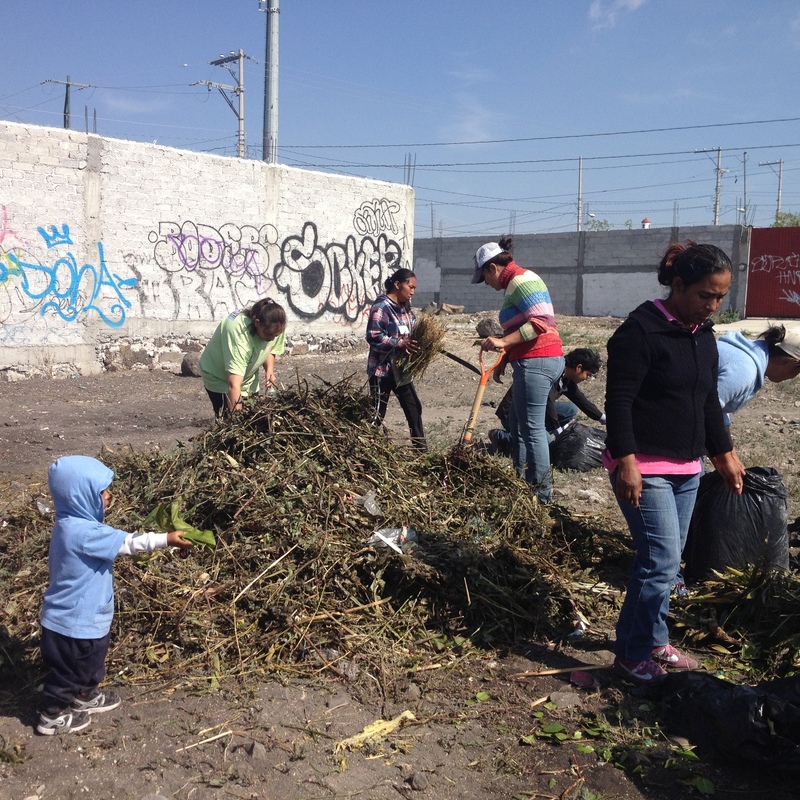 The summer of 2014, the CIASPE, non-profit group, that I work with in Mexico became involved in a community garden project. Naturally, I was thrilled. Ever since my experience working on an urban farm in the Lower Ninth Ward in New Orleans, I have been looking for my next opportunity to work in the urban gardening movement. As cities continue to grow and people move farther and farther away from the original source of food production, urban gardens offer people access to fresh, healthy food while also reminding them that carrots do in fact have leaves. As a woman who grew up in New York City, I can attest to little and limited access city kids have to get their hands in the dirt and encounter the creepy crawlers. Now Menchaca, Querétaro is not quite the same concrete jungle as Manhattan, but it does have an interesting story. The neighborhood of Menchaca was once an ejido or a communally-owned parcel of land that resided outside of the grasp of the city. Querétaro has been experiencing huge growth these past few years and poco a poco this ejido has become part of the expanding city. (They are even constructing a train to connect Mexico City to Querétaro.) In Menchaca, many people built temporary housing, that later became permanent housing, in order to be close to the growing work opportunities in the city’s center. Since this neighborhood grew without any real planning, there are still lots of empty lots. 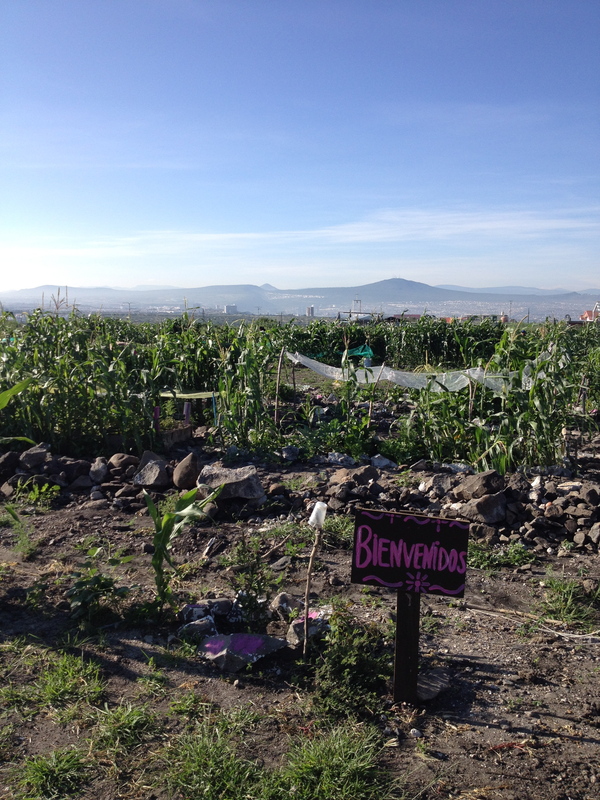 The Mexican Secretary of Environment and Natural Resources saw Menchaca as a great site for a pilot community garden and helped the community to obtain the resources to get started. When I first saw the land that was destined to be sprouting with veggies, I was skeptical but largely excited for its potential. A fellow Peace Corps volunteer and I began to draw up some plans. We considered where we would put the water tanks, the free area, and the garden beds. We had grander plans, of course, but we prioritized the available funding. Along with community members, we began to outline the garden beds. Each participant was to receive a bed size of about 1 meter by 5 meters. With the biointensive method of agriculture, this was plenty of space to get started. To put it in perspective, consider that 100 garlic plants can fit in one square meter. 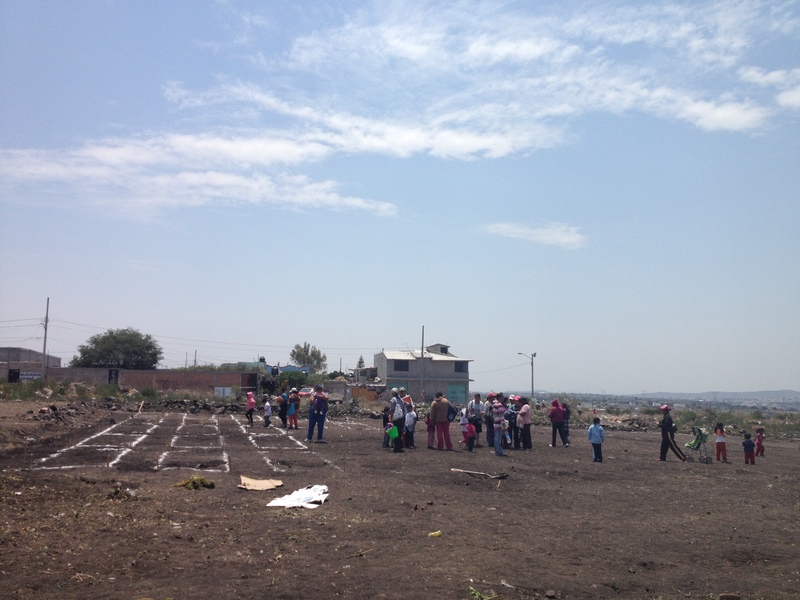 Over the next few months, the CIASPE team went out to Menchaca to share our experiences with gardening. We stressed the importance of building up the soil, and our first task was to build compost piles. With each subsequent session, and resultant homework, the space began to transform. Doña Maria brought a small peach plant to the community garden. Women decided to border the garden’s fence with corn. Calendula flowers and its curly seeds offered spots of orange among the beds. Children began running around in the communal “free space.” It was truly becoming a space that everyone could enjoy. After one session, a Peace Corps volunteer, asked for some help to conduct some surveys that would help her move forward in her Master’s work. Loving those one-on-one talks, I jumped right in to help. One of the questions, seemingly straightforward, really captured my attention. The diagnostic asked, “Where do you spend most of your time?” Now, most of the participants in the garden are women, so I wasn’t surprised to hear the answer of “in the household.” What surprised me more, was the overwhelming majority of these women shared the second largest portion of their time in the community garden. As we continued to talk, they mentioned how the garden has given them another purpose, has offered them stress-release, and has given their kids a safe and stimulating environment to play. The biggest benefit of Menchaca’s community garden may not be its spinach and swiss chard harvest. This community, which is characterized by high levels of marginalization, now has a source of hope, or in the least, it has an outlet for creativity and productivity. I am sure this garden will continue to grow. My friend will continue to work in Menchaca during her service in Mexico and help the participants to reach the great potential of this project. PS: Watch the transformation unfold with the photos. Very happy to see the progress with this garden…especially given our family roots in the area. Don Lupe would be proud…and I still hope he is invited to come meet the gardeners carrying on the tradition in his ejido’s former lands someday soon. May the torch be carried on…and congrats in your service Josephine!